The old adage starts out “an ounce of prevention…” The wisdom is thainoculation theory t a pound of cure, after exposure to a harmful element, is far more expensive and painful than the cost of dealing with the issue before it becomes harmful. When Ben Franklin first imparted his advice, he did not limit it to medicine. Far from it. His statement is an analogy that is relevant in nearly every facet of life – including politics. When deciding to run for office, candidates must be honest with themselves. They must take stock of their shortcomings and their “youthful indiscretions.” Candidates must take full account of their controversial decisions and votes. They must inventory their own “derogatories” because any opponent with a scintilla of common sense will have their own catalog of your shortcomings with which they might attack. Once a candidate knows his own points of weakness, he can evaluate which ones might be the most damaging in a campaign. Of those damaging issues, a candidate can narrow down the ones that the opponent most likely knows. Of those, which ones are best documented? Of the issues left, which ones does the opponent have the moral high ground, meaning she does not have the same shortcomings? Finally, a candidate must evaluate how much money the opponent likely has and how much of that budget they might be willing to spend on an attack. A campaign should be able to identify the one or two issues most likely to be used in an attack. Once this is known, creating a plan to mitigate or even prevent an attack is imperative. In politics, this process is referred to as “inoculation”. Inoculation can come in many forms, but the idea is that a campaign take control of an issue, and tell its own story, before the opponent decides to go on the attack. Direct mail is an excellent venue to deliver an inoculation. A campaign should be able to target the audience deemed most important in order to win a campaign. A campaign can pinpoint, with amazing accuracy, the precise households that will be most receptive and impacted by an inoculation message. As with television and the Internet, direct mail is a visual medium. A campaign must be able to tell a story with powerful images, while using as few words as possible, to achieve its goals in direct mail. If a candidate wishes to inoculate against a youthful indiscretion, for instance, using a photo of a youthful candidate while describing the “offense” is an effective way to contrast with a more mature candidate now. Another critical element in an inoculation effort is to explain how the recovery from the youthful indiscretion makes the candidate a stronger, better choice than if the incident never occurred. Another reason direct mail is an excellent medium to use is the fact that it is more difficult for an opponent to track. When a campaign purchases television or radio, a public record exists that is available to the opposition. The opponent will know the exact audience that the campaign is trying to reach, and that allows the opposition to mount a counterstrike. With direct mail, the mailing list that a campaign uses is proprietary. Unless the opponent is engaging in some level of unlawful espionage, the mail list is known only to the campaign manager and the mail house – both of whom have professional obligations of confidentiality and nondisclosure. In some cases a campaign may want to increase the effectiveness of its inoculation message. A corresponding digital campaign can be targeted to IP addresses associated with the mail list used for the inoculation direct mail piece. This tactic ensures that the same households targeted for direct mail will also be targeted for the digital ad. The digital ad can link to the candidate’s web site, social media, or another location that is designed to tell the same story in the direct mail. The nature of inoculation means that a campaign is choosing to be proactive before the opposition wages an attack. There is never a guarantee that an opponent will go on the attack. However, a compelling case can be made to create an inoculation when the issue in question is one that will move voters. The motivation towards inoculation becomes stronger if the issue is one that is available in public records. Another factor to assist in the decision to create an inoculation message is the resources of the opposition. By studying publicly available finance reports, a campaign can evaluate if the opponent has enough resources to issue a negative message. Whether or not to issue an inoculation is a decision that a candidate should not make on his or her own. Objective, experienced, and skilled consultants can help guide a campaign in tough situations such as these. The professionals at Gravis Insights Australia are experienced and trained to handle the most difficult campaigns. No matter what situation you are facing, Gravis has been there. Gravis can help you tell your story, and Gravis can help you identify the exact audience for each story. The Liberian elections have been one of the hotly contested elections this year ending in a runoff between Senator George Weah of the Coalition for Democratic Change (CDC) and Vice President Joseph Boakai, of the ruling Unity Party, (UP). Winning an election is not always a rosy affair as seen by the recent happenings in Liberia. In the previous poll, George Weah led by a small margin but unfortunately failed to hit the 50% of votes cast mark. This scenario automatically triggered off a runoff. The runoff was almost a foregone certainty as it is difficult to win 50% of the first ballots cast when there are over twenty candidates in the first round of elections. There has been no peaceful transfer of power from a sign president to the next in Liberian since 1944. However, 2017 will most likely see this happen as the outgoing president, Sirleaf will peacefully hand over power to either Boakai or Weah. We contest that this will be Weah. Weah enjoys broad support among people from divergent social, political and ethnic groups in Liberia. Winning an election requires a contestant to consolidate his or her support from all sections of the society. In Liberia, the support of the youth is most important. George Weah attributes a large number of his supporters from youth to the endorsement and support he received from Doe at the star of his football career. Weah is no doubt considered a football legend and god in Liberia. This fact and the huge number of youths in the country will most likely propel him towards the election win. He will, however, need a cross-party support and validation in order to fulfil the coveted 50% plus one vote requirement. This is shown not only by the massive number of new votes the Coalition for Democratic Change (CDC) has won in the first round of the election but the number of new counties that the CDC was unable to penetrate in 2011 or 2014 which it has won (and in some cases convincingly) but also since the runoff, the number of losing parties that have endorsed the CDC for the December 26 runoff election. A review of the current happenings in Liberian indicates that CDC has all of these winning qualities. For instance, CDC enjoys support from the largest county, Montserrado. George Weah himself is a senior Senator from the largest county. Secondly, CDC has a large youth support and is very active in youth mobilization. Between the ballot rounds, Weah has secured the endorsements of many youth wings of different political parties that did not make it to the second round. This kind of political mobilization if intensified will most likely see George Weah win the election. A review of the Liberian election landscape reveals that a total of 15 counties are present. The largest of these counties in terms of population is Montserrado. A party with the largest number of voters from the largest county as well as support from a significant number of the smaller ones is most likely to win the elections. Additionally, the country has 60% of its registered voters as youths. This shows that the party that is more oriented and that will manage to mobilize the youth vote will most likely carry the day. Cross-party support will also be important since a runoff is a unique voting experience requiring vote consolidation from across the board. One of the most important implications of George Weah’s win is that incumbency can indeed be lodged in present-day Africa. It’s quite surprising that a candidate who lacks proper formal education like Weah enjoys a huge national following and thwarts the popularity of highly educated contenders. This would mean that the level of democratization in Liberia has grown and liberalism is highly practiced in the nation. Perhaps the negative political implications of George Weah’s win would be the return to the national politics of Charles Taylor’s family through his wife, Jewel Taylor. Jewel Taylor’s party National Patriotic Party (NPP) formed a coalition agreement with the George Weah’s CDC to the dismay of the international community. George Weah will no doubt win the upcoming runoff elections due to his political machinations and posturing. The ability of his CDC party to lure in likeminded parties to face the incumbency will no doubt play a significant role in creating a huge voting bloc that is capable of dislodging the incumbent authority. However, the biggest challenge for the CDC in our view is not just winning, but governing. We have seen recent examples in Europe where new parties (eg. En Marche) where they have won elections on massive margins then seen popular swings against them as they prove that they are unable to make the lofty promises and imagery of campaigning turn into the content of actual governing. This has seen in those countries massive falls in popularity of the new government, in a quick period of time (in France its been a record). The CDC needs to learn from this and get control of the apparatus of government quickly in order to survive. The governing element of a country like Liberia is something that the Sirleaf/Boakai administration has failed to accomplish. The country will need to build a budget, with new revenue sources going into a Treasury that allows the Weah agenda of economic development to come to fruition. The revenue will also need a new economic compliance and regulatory system and the development of a whole new set of public service agencies in order to implement it all. Our targets for them would be a multinational diverted profits tax or a ‘google tax’ in the same way that the UK and Australia have cracked down on multinational profit shifting. There have been many reports from entities such as the Tax Justice Network about Liberia “ a little-known offshore business registry that has created tens of thousands of anonymous companies and registered them to a non-existent address in Monrovia, Liberia’s capital city. Furthermore, the use of non-resident corporations in Liberia allows billions of dollars be hid in Liberia by foreign corporations, without the Liberian Treasury seeing a cent of it in taxation. Finally, there is the revenue from shipping flags. During the Ebola crisis, the US$20 Million in revenue was all the Treasury was getting from these registrations which made up 6% of the total revenue intake for the government. This is despite that these companies only take the Liberian flag (and Panama flag) in order to dodge international regulations in relation to a host of things, such as the environment, labour law and the state of the ships themselves. In a new administration, there is no reason why the government can see this as a potential new stable revenue source for the budget. Overseeing this, the government will also need to deliver a new, tough corruption enforcement agency. This needs to not just be for multinational companies dealing in the country but for public officials as well. New people dealing in the country need to be reassured of their legal standing in dealings and the public needs to learn as economic evolution comes to the country; that this is not being done with public officials being enriched along the way. Liberia will also need personal income tax reform along the way as incomes rise. For the economy to grow in the short to medium term, the emphasis should be on corporate tax revenue and allow personal and consumption taxes to be as low as possible. This can then change as economic growth comes in and incomes start to rise. The development of the middle class should be priority one economic policy. The country needs new foreign direct investment badly. Whether it be in the commercial space, major infrastructure or in new residential sector investment. Currently, many investors are put off by the concept as many have faced legal uncertainty, the need for ‘commissions’ or ‘bribes’ to make business happen or other unscrupulous business practices by either private sector entities or public-sector figures. This needs to change for Liberia to change. The challenge for the new CDC government won’t be winning this Boxing Day, it will be understanding the size of what comes next. This is the wrap up where we analyse what went right, what went wrong, what’s still in doubt and where to from here. We are open and honest about in our methodologies and assessments. Of the predictions we have missed, they all come back to where our teams have allocated Pauline Hanson’s One Nation to either win the seat in their own right or to push a party over on preferences. Our team identified the final week drop in the PHON vote as we revealed in the initial election report. However, this fall in their vote was not proportional, such as the similar drop they suffered in the middle of the year amongst the saga of donations, disclosures and who owned the plane. The drop from 20% statewide to 12% statewide can all be linked to collapses in their primary votes in safe Labor seats. 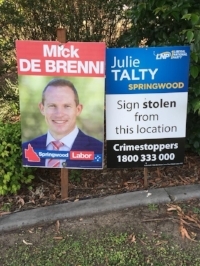 The soft Labor vote got spooked and “came home”. In these seats they have collapsed between 15%-23% and this has not only prevented them from winning, but prevented them from pushing over the second candidate in the count to win the seat. Example: In Capalaba PHON between February and November had never polled below 29% and in all bar one of those samples, the LNP came third. However, in the final week, Labor defecting PHON voters went back to the party after they were scared by the ALP Campaign (very well) that voting for PHON would deliver a Nicholls Government with PHON. The big lessons for the LNP out of this has to be that PHON voters don’t follow HTVs and the pain will be felt in the South East if PHON is going to continue to be seen as a genuine alternative rather than a minor party. For us, the big winners out of this campaign are Katter’s Australia Party (KAP). Despite being completely ignored during the campaign they potentially can increase their seat count from two to three (Hinchinbrook) and give themselves a 33% win rate of seats contested. The KAP has shown that they are a party that can gain voters from PHON that are uneasy about the ramifications of voting for PHON (see every seat KAP stood in that they didn’t hold). 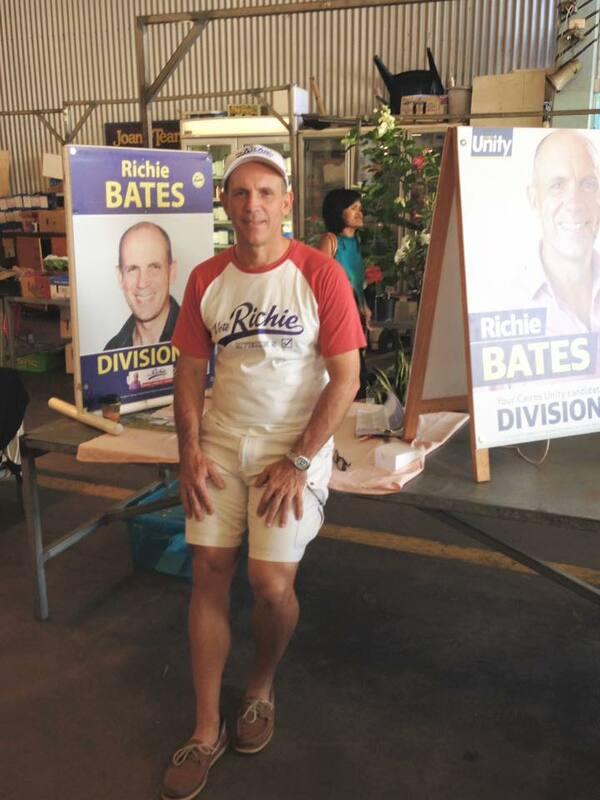 The only seat KAP did poorly in, was the seat of Whitsunday where in our view, KAP should stop trying to run in (in the region, they should be in Mirani and Burdekin). This is the only seat they have not polled in the double digits in. If KAP expanded and ran proper campaigns in Central Queensland and Western Queensland, we would not rule them out for being competitive at the next Queensland election in two years, ten months from now. We would also not rule them out of contention federally for a Senate seat either. In the view of our team, this incessant ‘calling’ of seats from media outlets and bookmakers is futile, particularly in close election contests. This week will start to see some real preference distributions which will determine where seats fall, not just where media commentators want to call seats as won or lost and premature payouts from bookmakers. After one of the strangest elections in New Zealand history, New Zealand finally has a government. Labour's Jacinda Ardern has been crowned New Zealand Prime Minister by Winston Peters and New Zealand First. Through this, we will go through the structure, the policy information we have and what the implications are for National. The Government will be a Labour - NZ First government that has a confidence and supply agreement with the Green Party. This is not a Labour - NZ First - Green government as many commentators are stating. There is a Labour - NZ First Coalition agreement which is looking to give Winston Peters the Deputy Prime Minister job (the same job he held under National under Jim Bolger). New Zealand First will get four ministerial positions (it is unclear if this includes Winston or is including Winston) and one Parliamentary Undersecretary. The Greens have a confidence and supply agreement with Labour. This government represents the first time that the Green Party have had Ministers, even if they are outside the cabinet. The Ministries that the Greens will get are: Climate Change, Associate Finance, Conservation, Women, Land Information New Zealand, Associate Environment, Statistics, Associate Transport, Associate Health and an Undersecretary to the Minister of Justice (Domestic and Sexual Violence). Prime Minister - designate Ardern has dismissed the fact Climate Change as a minsitry is outside the government as something she can do as she doesn't need convincing on the subject. The full roll out of Ministries will happen at the swearing in ceremony later this week. Considering the Labour gains from the Maori Party, the Maori Development portfolio is one that is promoting a lot of speculation as to who will receive that portfolio. This considering that Deputy Labour Leader, Kelvin Davis is likely to pick up Corrections as one of his portfolios in the government. Today the Labour - NZ First agreement and the Labour - Green agreements were both signed. • Rail: Significant investment in regional rail. • Forestry: Re-establish the New Zealand Forestry Service, and planting 100 million trees per year in a Billion Trees Planting Programme. • KiwiBank: Investigate KiwiBank's capabilities to become the Government's banker when that contract is next renewed. The results of German general polls have been announced. To expectations of many political pundits and commentators, Angela Merkel led center-right CDU/CSU has clinched a majority with almost 33% of total votes – a figure that is slated to hand her 218 seats in Bundestag. The Social democrats, or SPD, helmed by Martin Schulz, is trailing second with just over 20% votes and is projected to command 138 seats in the house. The most interesting aspect of the poll however is the rise of AfD, a far-right, anti-immigration party, which had previously struggled to enter mainstream politics. It emerged as the largest party in the house by claiming a significant 13.5% of the vote – a proportion that will land it 87 seats. This shift marks the first time a far-right party has been able to make its way to Bundestag in last six decades and spells a change of tone in nation’s future parliamentary discourse. Shortly after the results were made public, Schulz confirmed statements by other senior party members that the SPD would not reenter into a coalition with the CDU/CSU but opt for opposition. With SPD out of the possible governing coalition, that leaves Merkel with the pro-business Free Democratic Party or FDP and the Greens as potential partners. They have scored 10% and 9% of votes respectively and together with CSU, form the most likely ruling trio. It’s a coalition that’s widely been dubbed as the Jamaican coalition after the three parties’ respective black, green, and yellow flags – the same colors that fashion Jamaican national flag. It’s worth mentioning that while this coalition has worked at state level, it hasn’t been tried over national stage before – a reality that analysts predict will necessitate complex negotiations before any mutually agreeable arrangement can be reached. Merkel’s conservative party is itself divided in two camps, her Christian Democratic Union (CDU) and its Bavarian sister Christian Social Union which is headed by Horst Seehofer. The two wings began to diverge few years ago and are increasingly taking on distinct political identities. Meaning that the sought after alliance, in another sense, would comprise four separate parties with sometimes nuanced but mostly disparate outlooks. The Greens, a party born out of the 1968 social revolution is also split into two camps - leftist ("Fundis") and the more pragmatic centrists ("Realos") and will be sending two delegations for negotiations. The business friendly FDP would be wary of putting itself through the same predicament that it had to face after forming a coalition with Merkel in 2009. The party, according to reports, will be pushing for the seat of finance minister in any likely coalition – a demand that will require Merkel to swap her finance minister and long term aide Wolfgang Schäuble to some other role. In any case, the results of recent poll have created an interesting and complex political ground in Bundestag in which the traditionally dominant CSU/CDU stands at its lowest parliamentary strength in decades. This electoral equation will lead to a tough and drawn-out negotiations between prospective ruling partners and require conservative CDU/CSU to make uneasy compromises if it wished to reelect Angela Merkel as national chancellor for the 4th consecutive term. On September 1st 2017, the Supreme Court of Kenya gave its verdict on the petition filed by the NASA Coalition Presidential candidate, Mr Raila Odinga, disputing the declared results of the August 8th presidential elections. The six judges, led by Chief Justice David Maraga, ruled by 4 votes to 2 that the elections were not properly conducted and that the declaration of Uhuru Kenyatta as the winner was invalid, null and void. CJ Maraga noted in the summarised ruling that elections are a process, and not an event, and that the election process had been marred by irregularities and illegalities. The court ruled that the IEBC “failed, neglected, or refused to conduct the presidential election in a manner consistent with the dictates of the Constitution” and applicable laws. The court declared that the IEBC committed irregularities and illegalities in, among other things, the transmission of results. The court also found that these irregularities and illegalities affected the integrity of the entire Presidential Election. The court ordered the IEBC to conduct fresh elections in strict compliance with applicable laws, within 60 days as provided for in the Constitution. The ruling shocked most of the country. This is the first time in Africa that a court has nullified the re-election of a sitting President. Raila Odinga and NASA supporters were delighted. President Kenyatta gave an official statement that though he disagreed with the ruling, he would respect it. However, speaking at various rallies afterwards, the President said that CJ Maraga and his ‘wakora’ (thugs or crooks) had nullified his re-election. He and other Jubilee supporters accused the Supreme Court judges of overturning the will of the people, of colluding with the NASA coalition and also of staging a judicial coup. The President and his Deputy – Mr William Ruto – said they would deal with the Judiciary and they would revisit the matter after the fresh elections. Jubilee repeatedly said that the Court should have ordered a recount of the ballots instead of calling for fresh elections. Mr Odinga and the NASA coalition demanded that the IEBC, that the court stated had not conducted the elections properly, should be reconstituted before the new elections. NASA named specific officials that they said should be removed from the Commission. Jubilee responded that if the IEBC officials are removed, then the Supreme Court judges would be removed too (though this is not a simple process). The IEBC Chairman, Mr Wafula Chebukati, invited the Director of Public Prosecution to investigate IEBC staff and prosecute those found to have possibly been engaged in wrongdoing. On Thursday 14th September, newly-elected Nyeri Town Member of Parliament, Ngunjiri Wambugu filed a petition with the Judicial Service Commission seeking to remove Chief Justice David Maraga from office. Ngunjiri says that Maraga exercised a judicial coup by annulling the presidential election. He claimed that the CJ exerted undue pressure on the rest of the judges to make the judgement that they did. The MP later withdrew the petition, saying that the political climate did not favour it. It was reported that President Kenyatta asked him to withdraw it. On Monday 18th September, another petitioner – Mr Derrick Ngumu, who describes himself as the Executive Director of Angaza Empowerment Network, filed a petition seeking the removal of Deputy Chief Justice Philomena Mwilu and Justice Isaac Lenaola for alleged gross misconduct. The two judges are among the four who voted to nullify the presidential election. Mr Ngumu accused the judges of breaching the Judicial Service Commission code of conduct during proceedings for NASA's presidential election petition, by meeting NASA leaders to discuss the case as it was going on. On the whole, Jubilee supporters seem to feel that the Supreme Court was wrong to ‘overturn the will of the people’ and that the judges who voted for the annulment were compromised. NASA supporters, on the other hand, believe that the Supreme Court vindicated their position that the poll was rigged. It is noteworthy that during the hearing of the petition, the Supreme Court ordered the IEBC to allow the parties to the case and the court itself access to the server to examine its contents. IEBC complied only partially with this order of the court. This has solidified the view that the IEBC has some damning information within its servers that it is keen to hide. With New Zealand heading to the polls after what has been one of the more tumultuous campaigns since the advent of the MMP voting system; New Zealanders go to the polls. The current governing arrangement (National - United Future - Act - Maori Party) will not be returned, despite this being Bill English's preferred option. The Labour-Green alliance under the Memorandum of Understanding is unlikely to be able to govern in its own right. United Future will lose its place in Parliament after Peter Dunne announced he was retiring as the MP for Ohariu and United Future not polling at the 5% threshold to get a List MP elected. Whether or not Hone Harawira and his Mana Party can get elected in Tai Tokerau on the back of the 2 for 1 campaign he is running and whether or not the Maori Party can get 2 MPs back into Parliament will be critical in the dream scenario of the left where they can govern with a Labour-Green - Maori - Mana block. The fact remains: It is most likely that Winston Peters and his New Zealand First Party will become the King or Queenmaker to form the next Government of New Zealand. Winston Peters has governed with both National and Labour previously. He served as Deputy Prime Minister to Jim Bolger and Foreign Minister to Helen Clark in her third government. Winston Peters has already stated that he will not enter into a government with the Green Party. This is how we see the most likely scenarios, however, picking the combination from an MMP election is always difficult and predicting the results of negotiations to happen on a hypothetical equation of the Parliament is even more fraught. New Zealand elections are conducted using the MMP voting system - Mixed Member Proportional. Its defining characteristics are a mix of MPs from single-member electorates and those elected from a party list, and a Parliament in which a party's share of the seats roughly mirrors its share of the overall nationwide party vote. It is a proportional system, which means that the proportion of votes a party gets will largely reflect the number of seats it has in Parliament. Each voter gets two votes. The first vote is for the political party the voter chooses. This is called the party vote and largely decides the total number of seats each political party gets in Parliament. The second vote is to choose the MP the voter wants to represent the electorate they live in. This is called the electorate vote. The candidate who gets the most votes wins. They do not have to get more than half the votes. Under current MMP rules, a political party that wins at least one electorate seat OR 5% of the party vote gets a share of the seats in Parliament that is about the same as its share of the party vote. For example, if a party gets 30% of the party vote it will get roughly 36 MPs in Parliament (being 30% of 120 seats). So if that party wins 20 electorate seats it will have 16 List MPs in addition to its 20 Electorate MPs. Coalitions or agreements between political parties are usually needed before Governments can be formed. Going into this election, National governs with the Support of United Future and its MP for Ōhāriu, Peter Dunne, Maori Party and their MPs and Co-Leaders Te Ururoa Flavell, MP for Waiakiri and Marama Fox who was elected as a List MP and is the Maori Party Candidate for Ikaroa-Rāwhiti and David Seymour from ACT who is the MP for Epsom. This election comes on the back of some major changes in New Zealand politics. Firstly, with the mid-term resignation of John Key and the ascension of Bill English to the top job. In this election, he seeks a mandate in his own right. Secondly, we see the mid-campaign resignation of Opposition Leader Andrew Little and the ascension of his Deputy Jacinda Ardern. Her rise to the leadership with Kelvin Davis as her Deputy Leader has given the Labour campaign a new momentum and energy that Labour has not seen since the election defeat of Helen Clark. This has seen Labour's poll numbers rise to 32.5% according to Roy Morgan, 37% according to UMR and 33.1% (Reid Research). While UMR traditionally has a Labour bias, all three polls show National falling but Labour making most of its gains from the Green Party who have seen support fall since the resignation of one of its Co-Leaders, Metiria Turei. At the last election, National achieved its best result under MMP, winning 60 seats and Labour had its worst election ever. The Labour Party’s share of the vote in 2014 (25.1%) is the lowest it has achieved in any MMP election to date; it is also the lowest share for the Labour Party in any election since 1922 when its 23.7% vote share was third-highest behind the Liberal and Conservative parties. There are 25 MPs who have self-identified as being of Māori descent or 21% of the total Parliament; there are a record eight MPs who identify as being of Pacific Peoples ethnicity, or 7% of the Parliament; there are five MPs who identify as being of Asian ethnicity, 4% of the Parliament. Our analysis of recent NZ wide polling is that either National or Labour would need the votes of New Zealand First and Winston Peters to govern. Newshub-Reid Research poll has New Zealand First at 9.2% and third in the party standings. This poll has neither the Greens-Labour Coalition and the National-ACT-United Future Coalition couldn't govern without New Zealand First. According to the TVNZ-Colmar Brunton poll the Green Party could be out of Parliament as a result of the Labour new leader's popularity and the fall-out from Metiria Turei's resignation. The Greens have dropped 11 percentage points to 4 percent, according to the TVNZ-Colmar Brunton poll - its worst result in the poll since 2009. In this poll, New Zealand First polls at 10%. With United Future Leader, Peter Dunne resigning from Parliament as the MP for Ohariu; this leaves National in a dangerous position of not having enough support party MPs without Winston Peters. It should be noted that in neither poll, National polls over the 45% 'firewall' it needs to be sure of its majority against the Labour-Greens Coalition. What we are seeing in New Zealand with the rise of Ardern is similar to what we saw in the United Kingdom, the condensing of the vote around the major parties as voters sure up their major party and move away from 'split' voting, which is normally voting differently between the electorate vote and the party vote. How high can the 'Jacinda Effect' take Labour? We also say to people to watch the debates. John Key was an excellent debator and gained momentum from the debates. Right now the momentum is certainly with Ardern and with Bill English moving to centre his campaign on spending commitments to arrest the momentum back from Labour, the debates will be key. SA No Confidence: Where to from here? Tuesday 8th August 2017 is a day that will go down in history in the young democracy of South Africa. A vote of no confidence in Jacob Zuma as president of the country was allowed to be cast in private and the result was closer than expected and whether this or the fact thevote was in private was most surprising is still open for debate. However, what was the vote of no confidence really for? Was the only the fact that South Africans and a growing number of MPs were unhappy about the way Jacob Zuma was running the country? The fact is that the vote of no confidence was a vote of no confidence in many areas of the turbulent and sometimes violent world of South African Politics. The opposition lost the vote, one cannot truly say that Jacob Zuma won because a number of his own party members turned their backs on him and did not tow the party line. The vote demonstrated a healthy democracy but also highlighted the fact that some MPs and Ministers are so “captured” that it is a case of better the devil you know than to lose a job with good pay given as a reward for loyalty to one man and a family. The anger towards those who voted to remove the beloved leader is, in the days after the vote, is beginning to surface. The ANC is a divided party, the tripartite alliance is under more strain the than ever before but the weakness or fear of those such as the SA Communist party who have been outspoken about Mr Zuma has become blatantly obvious. Inside ANC structures there is turmoil, vows to oust out or seek revenge against the twenty something ANC members who broke rank is starting to surface, this despite the vote being secret. The ANC, for these members has become a power hungry monster that has lost the moral high ground serving the few not the many like something from an Orwellian Animal Farm nighmare. Opposition parties have concluded that while the vote of no confidence in Jacob Zuma may have been a win for the president is it a loss for a dying or maybe even now dead ANC. The broken and divided ANC along with its alliance partners is fighting for its life, clambering to find its identity. This leads to desperate measures and the prospect of impossible to honour promises in the run up to the 2019 elections. A lot of trust in the ANC has been lost; the once loved struggle party is losing its lustre in an ever more educated and now less trusting citizenship of its country. The debate who should be the next ANC party leader is not an easy one and ames put forward are names that are popular only in certain enclaves of the party showing not just a divide but multiple, perhaps fatal, fractures. Cyril Ramaphosa, the struggle icon, wealthy businessman and trade unionist missed a golden opportunity to stand up for what is right in the no confidence vote and in the eyes of the people has lost some favour. He had the chance to do what the people wanted and didn’t choosing to stand by his party not his country. Nkosazana Dlamini-Zuma, former wife of Jacob Zuma, could be the first woman president of South Africa. The very fact she is or was related to Jacob Zuma is perhaps a bridge to far for South African Voters and many are asking, “What has she really done?” The family ties to corruption are just too strong for many voters to think about with the name sending shivers down the spines of people throughout the country. Other names in the hat include Former ANC Treasurer-General Matthews Phosa, Human Settlements Minister Lindiwe Sisulu, current ANC Treasurer-General and ANC National Chairperson and Speaker of the house Baleka Mbete. Every single name has in some way been tainted with the same brush that has painted the ANC corrupt, incompetent and untrusted, each has had a chance to stand up and be the change but are either captured, afraid or just weak. This says a lot about the ANC, it shows how people get to where they are. It shows how favour and loyalty to a man or promise rather than being wiling and competent to perform and serve their country has become the norm, shedding light on a once glorious ANC that people had hope in that now shows how a few have benefitted over the many. The successes of the ANC in improved education and placing some business in black hands have perhaps become the things that ultimately destroy the party, voting them out of power or barely hanging in there in some form of delicate coalition. Better-educated people, people who have waited too long for broken promises and the very fact that opposition parties have made massive changes in a number of major metros they won in local elections, mean the ANC is exposed. The Gupta emails, evidence of mass corruption and in recent days the stance on a senior minister accused of assaulting two women in a nightclub have shown the true colours of the current party. These true colours clearly show how the party has become a dark, untrusted and distant shadow of the party that once fought and won the fight for freedom two decades ago. Where can South Africa go? Who will win the next election? It is difficult to say, party politics can get dirty and the ANC has its back to the wall. What is known is that the people of SA are unhappy and that can only mean two things, a low voter turnout that would favour the ANC or change of political direction that leads to unchartered territory. Thirdway Party Presidential candidate, Dr. Ekuru Aukot, accompanied by his running mate, Emmanuel Nzia, addressed the media at Ridgeways Baptist Church, Kiambu County on Sunday 30th of July 2017. The candidate accused the IEBC of printing extra ballot papers beyond the 1% contingency provision made for spoilt votes. Dr. Aukot added that the 5.7% extra ballots should be a cause for concern. "IEBC must now turn its attention to the KIEMS (Kenya Integrated Elections Management System) to ensure that voting is credible. Used, unused and spoilt ballot papers must be reconciled properly and results tallied transparently and transmitted without any hitches," he said. The electoral commission said the one per cent additional ballot papers were meant to cater for ballots that were reported as spoilt before they are cast. The commission explained that the ballot papers are bound in booklets, each booklet having 50 papers, hence the commission's decision to round off the number to 50. The IEBC communication manager, Andrew Limo said that for uniformity purposes, the commission had to round off to 50 because there was no way to print unmatched numbers for different counties. Via Twitter on Saturday, the electoral agency said they had printed 416,360 booklets of 50 ballot papers each, thus totalling 20,818,000 papers. This is to cater for 19,687,563 registered voters, meaning there is an extra 1,130,437 papers. National Super Alliance (NASA) leaders on Monday 31st July claimed that the printing of additional papers could be another plan to rig the General Election. The Orange Democratic Movement's National Chairman, John Mbadi, the Secretary General, Agnes Zani, and the Wiper Vice Chairman, Mutula Kilonzo Jr, asked the IEBC to explain the extra ballot papers and warned that this could affect the credibility of the polls. "Does this then mean ballots for the other positions will not be spoilt? Why only the extra for the presidential (ballot papers)?" asked Dr Zani. She faulted the electoral body for not involving all stakeholders before deciding to print extra ballot papers. The electoral commission on that Monday released a document detailing the packaging of the presidential ballot papers. The document lists each of the 290 constituencies, their respective total number of registered voters, and number of ballot papers to be delivered. It further detailed the number of ballot booklets to be delivered to all the polling stations spread across the country and how the commission reached the rounded off figures. Commissioner Roselyn Akombe said the ballot papers and result forms have been customised for each polling station, making it impossible to use those not meant for a particular polling station. On Friday, July 7th 2017, the High Court nullified the tender for the printing of presidential ballot papers for the August 8, 2017 presidential election to, Al Ghurair Printing and Publishing Company. In its ruling, a three-judge bench hearing a judicial review filed by the opposition National Super Alliance (NASA) found that the Independent Electoral and Boundaries Commission (IEBC) failed to conduct adequate public participation in the tender process, a move that they said goes against constitutional requirements. Further, the bench found IEBC’s decision to meet representatives of Jubilee and NASA at the exclusion of other parties fielding presidential candidates was inappropriate. The court ordered the IEBC to commence the procurement process afresh. NASA had also argued that President Uhuru Kenyatta has a relationship with Al Ghurair, which influenced the award of the tender to the firm. The court ruled that the evidence provided to support this claim fell short of the evidentiary standard required to prove it. High Court judges Joel Ngugi, George Odunga and John Mativo found that public participation in the direct procurement process was necessary for free, fair elections. In response to the court ruling, President Uhuru Kenyatta warned the Judiciary against what he considered a plan to frustrate the IEBC in order not to conduct the General Election on August 8th. The President said Kenyans would not accept any attempt to postpone the polls from the date specified in the Constitution. Speaking at a rally in Baringo County on Sunday, 9th July, President Kenyatta said the Judiciary should not take them for fools for being silent as the courts make decisions that could lead to the postponement of the elections. "I want to tell those in the courts that because we have respected you for a long time we are not fools. We cannot accept the courts to be used by those not interested in the elections to frustrate IEBC," said the President. The President said it was strange that the IEBC had been allowed to go ahead with printing ballot papers for other elective positions but not for the president. Chief Justice David Maraga, in his Twitter handle on the same day, termed the President's accusations as unfortunate. "I would not ordinarily respond to statements made by politicians in the course of campaign activities, but these accusations are particularly unfortunate, based that they are on completely wrong premises." The CJ said that he had at no time asked the IEBC not to proceed with the printing of ballot papers, contrary to statements by Deputy President William Ruto in Baringo on that Sunday. "The comments I made in Mombasa and elsewhere, which were either deliberately or inadvertently taken out of context, were in reference to the courts' efforts to expeditiously clear the numerous petitions arising from the party primaries in order not to inconvenience the printing of ballot papers," said Maraga. He added: " I have always been at the forefront of defending the cardinal principle of decisional independence of judges, and at no time have I ever directed any judge or judicial officer on how to determine the cases before them." On Monday 10th July, Jubilee Party leaders accused judges who handled the tender case of conflict of interest. The Jubilee leaders said that Judge Odunga’s wife is Siaya Senator James Orengo’s niece while Judge Ouko is related to NASA presidential candidate Raila Odinga's wife, Ida. Speaking at the party’s headquarters in Pangani, Nairobi, the leaders led by Secretary-General Raphael Tuju said that Judges George Odunga and William Ouko should have recused themselves due to conflict of interest. The IEBC appealed the High Court decision on the ballot paper printing tender, arguing that the judges erred in finding that public participation is a mandatory precondition to direct procurement conducted as provided under the Public Procurement and Assets Disposal Act. On Thursday, the 20th of July, the Court of Appeal overturned the High Court judgement and allowed the IEBC to proceed with the printing. The Court of Appeal said the High Court decision did not take into consideration the constitutional timelines within which General Election must be held. The five-bench judge also ruled that public participation is not a requirement in direct procurement, which was the procedure used by the IEBC in awarding the contract to Al Ghurair. The appellate judges did, however, agree with the High Court that newspaper cuttings are insufficient proof of a meeting between President Uhuru Kenyatta and Al Ghurair bosses and that such a meeting influenced the award of the tender. With Teresa May heading to the Queen to form a government with the Democratic Unionist Party (DUP) it follows one of the worst election campaigns ever seen from the UK Conservatives. This was a campaign where the Conservatives blew a 20% lead at the start of the campaign and wound up losing their majority. It has been another example illustrating that without the influences of run-off voting systems or proportional voting systems (aka France and Holland); yet another leading campaign has run into a cocktail for political disaster, complacency, expectation management failure and authenticity deficit disorder. The fundamental premise of this campaign, from the framing right through to execution, was that the Conservatives couldn’t lose. When they realised they could lose, the scare campaign was ramped up. Yet this was far too little and late to stem the bleeding. However, whilst Corbyn has picked up a bit over 30 seats, he is still well short of a majority in the House of Commons. Despite increasing Labour’s vote share and adding millions of extra votes to the Labour tally, there is still a fundamental weakness in the Labour vote; a fundamental inability to take out marginal tory seats and to capitalise on the poor campaign of the Scottish Nationalists. In summary, the Labour vote was coming off a low base. This election saw a pitch for a 'strong and stable' government fall flat. The anti-establishment nature of the referendum campaign has scrambled the foundations of British politics. May was intitially a ‘remainer’ now advocating for a tough line on Brexit (or ‘hard brexit’ as many describe it). Jeremy Corbyn is an acolyte of Tony Benn, the leader of the hard left-wing of the Labour Party through the 1970s and 1980s and Michael Foot, the author of the manifesto which became known as the ‘Longest Suicide Note in History’. Corbyn was an early supporter of a Brexit, then campaigned in the referendum for ‘remain’ and now supports a Brexit once again. On the backdrop of this scrambling was a Conservative campaign that refused to engage in TV debates, ran a campaign that wasn’t based on connecting with the mainstream and often appeared aloof. This was followed by a manifesto which attacked the Conservative base voters (see social care funding, ending the pension ‘triple lock’ and the famous ‘dementia tax’) that was never going to be rewarded. Labour’s gains are also even more interesting, considering that the Corbyn campaign was often attacked for not doing enough to win back marginal seats. Britain has seen a referendum campaign end their membership of the European Union and effectively seen the end of ‘New Labour’ all in the space of two years. Yet, what is again being missed in the majority of post-mortem conversations is that the trend is global and there are lessons for the future. But what is 'the trend'? This is also prefaced on the fact that the ‘anti-establishment’ politician needs to rise inside the framework of establishment parties. This can be seen most recently with a Donald Trump Republican presidency. This is not as easy nor as random as it may seem. For example, Jill Stein can’t mobilise a Sanders-style movement in the American left. Likewise, Hanson and Bernardi won’t be able to lead parties of government in the Australian mainstream system and the best that New Zealand First and Winston Peters can hope for is a role as a ‘support party’ (again) to a National Party government. It is very important to also note that there is a difference between ‘anti-establishment’ and ‘populism’. The concept of politicians using budget measures to ‘buy’ support well and truly pre-dates the rise of the ‘anti-establishment’ concept. In the United States, we witnessed Hilary Clinton be attacked on two flanks - one from the philosophical left and one from the philosophical right. In the Democratic Primaries she lost 22 states to Bernie Sanders; a Corbyn-esque, dedicated Socialist independent Senator from Vermont who energised a base and built an engaged movement. Not unlike the ‘momentum’ movement behind Corbyn. Despite Clinton surviving the challenge on her left, she failed to stave off Trump, perceived to be on her right, who perfected the anti-politician image, turned out his voters; but more importantly her campaign failed to bring out the voters mobilised by first Obama, then Sanders; Millennials, Latinos and African-Americans. Her turnout fell dramatically which allowed Trump to win. In this new political reality, however, Clinton was a career political professional attempting to fend off two anti-politician campaigns that were always going to cannibalise her vote regardless of which traditional philosophical divide they may have been perceived to represent. In Australia, Barnaby Joyce will get some enjoyment to see that the electorate has finally caught up with him. He has been prosecuting this argument well before the rise of the ‘anti-establishment’ politician around the world. Australia is full of politicians trying to bring this together; between Pauline Hanson, Cory Bernardi, Bob Katter and Derryn Hinch; they all don’t get anywhere near the standard of Barnaby Joyce and his ability to do this, despite being the junior Coalition partner in an unpopular government. However, if Anthony Albanese wins the leadership of the Labor Party in Australia, Malcolm Turnbull would almost be electorally unable to win. Albanese has figured out how to master this on the left in the Australian context, without the status of trying to do this from inside a minor party. If the Coalition doesn't recognise and get across this anti-politician trend with effective strategies, they won’t win in 2019. If the Nationals in New Zealand don’t see the events of the UK and US as something that can manifest itself in New Zealand too, they will see a much larger New Zealand First and a more powerful Winston Peters. Welcome to the mainstream where the anti-politician rules. Politics and media are both fields that are constantly in a state of flux, growth, and change. A brief re-cap of the history of digital electoral campaigns provides a useful starting point for exploring the role that social media plays in political campaigns. Political use of the internet in electoral campaigns started in ninety’s, however, from the year 2000 onwards, the increasing prevalence of the internet was the catalyst for a new level of electoral tactics in social media. With millions of internet users around the world, various countries started to consider the use of social media much more prominently in their political campaign strategies. In 2008, campaign for the United States presidency marked a significant shift in the importance of social media in electoral campaigns. When Barack Obama ran for president, social media sites such as Facebook, MySpace and Twitter were at the center of a huge investment in his strategy. Robertson, Vatrapu, and Medina conducted an in-depth examination of campaigns of presidential candidates Obama, Clinton, and John’s Facebook walls and what individual users wrote. The study concluded that President Obama had significantly higher engagement than his counterparts. It is clear from this study that the level of followership significantly increased engagement, which in turn helped to secure the win. Since then, monitoring boom of social media began on the back of evidence from political and communication strategies around the world that showed the contribution that social media could add to campaigns. Tools that are available to these politicians to carry out social media analysis play very important roles such as; they are predictive rather than reactionary, and they are far more accurate. These tools have the ability to help politicians by raising awareness of their campaigns and establishing a platform for dialogue. In addition to that, social media also may have the ability to predict the actual outcome of an election. A study by Tumasjan, Sandner & Welpe (2010) examined several key ideas such as Twitter as a reflection of political sentiment and whether Twitter could predict the results of the election, which demonstrates that the number of mentions the party received matched very closely with the results of the election polls. As more and more people use social media to communicate their view and perception of elections, researchers have increasingly been collecting and analyzing data from social media platforms. When a political party engages its constituent using social media channels, they would be benefited by gauging whether the policy idea works immediately. They will know instantly the climate of those conversations, they can see how successful their message was delivered and how it got their constituents engaged in conversation. Once they have determined that, then they can craft next strategy according to what was popular and what was not. Last but not least through monitoring social media one can access the data collected using third party cookies of the audience producing a demographic report. This report can give valuable information about audience’s gender, age and most vital their interest of helping politicians orient a successful campaign.